Our friend Florence arrives just before nine this morning to do “the exercises”. We call them Yoga for Softies. They last 35 minutes and are a mix of disciplines including pilates, yoga, tai chi, and various others learned over years, which have gelled into a sequence. They are hardly taxing–hence the title–but the three of us always feel better for doing them–certainly more virtuous. Meredith and I then have breakfast and Flo, who has been up betimes seeing to her goats, joins for coffee and chat. 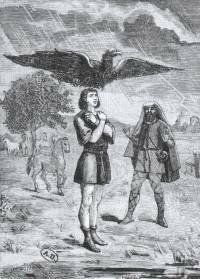 Flo tells us it’s St Médard’s day today–June 8th. If it rains today it will–according to legend–rain for 40 days. St. Médard not having much luck. “When the jet stream lies north of the British Isles then continental high pressure is able to move in; when it lies across or south of the British Isles, Arctic air and Atlantic weather systems predominate.” (bringing bad weather). By mid-afternoon Myriam arrives and says all is not lost even if it rains today. 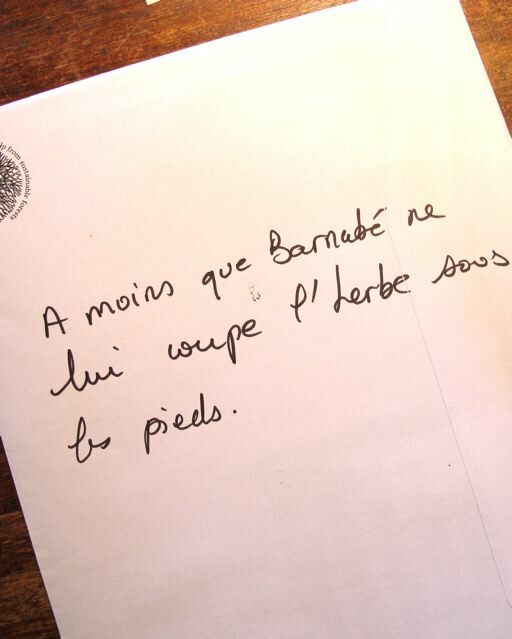 The French version has a “get out” clause in the shape of St Barnabé (June 11th). In other words, if the sun shines this Saturday, all will be well! St. Barnabas a.k.a. the Cavalry! It’s late afternoon now and still no need of Barnabé! Ah! I used to be in a touring musical ensemble which we affectionately (privately) called “St. Swithuns in the Swamp” (a poor allusion to the Academy of St. Martins in the Field) — and now I understand why! 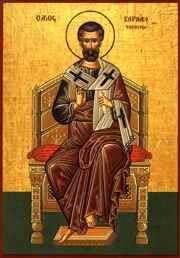 I like your having St. Barnabas as the “go to” guy, however. I agree, Barnabas could be a good guy to know! As usual, your posts inform as well as giving us delicious recipes, pictures and all manner of good things. I had just put an entry in my diary, before looking at this today, and noticed it was on St Swithin’s Day on 15th July. Is my diary wrong? Whatever, I do not want it to rain on that date – I am going to a garden party!! Thanks, Sophie-Jane–I’ve changed the date. Hope I haven’t hexed your garden party! I guess crossed fingers are almost as good! Once again a post arrives in the midst of a work day to remind me of another rhythm. Very welcome, thank you. I didn’t know any of these legends associated with the saints. The captions also brought a smile, as did the wonderful French expression for giving someone a kick. I am hoping that by this time of day you have successfully dodged the forty days of rain, with or without the intervention of Barnabé. A similar German legend is connected with St. Swithin’s Day (Siebenschläfer „edible dormouse“ in English, 27 June), for which tradition says that if it rains on that day, it will rain for the next seven weeks (worst case !). The weather on that day is supposed to determine the average weather of the next seven weeks. Originally following a legend about seven young Christians „Seven Sleepers of Ephesus“, who hid from prosecution into a cave in the year 251, where they were sealed and slept until June 27th of the year 446. Yes–I read about that, Martina–seems there are similar legends all over northern Europe.